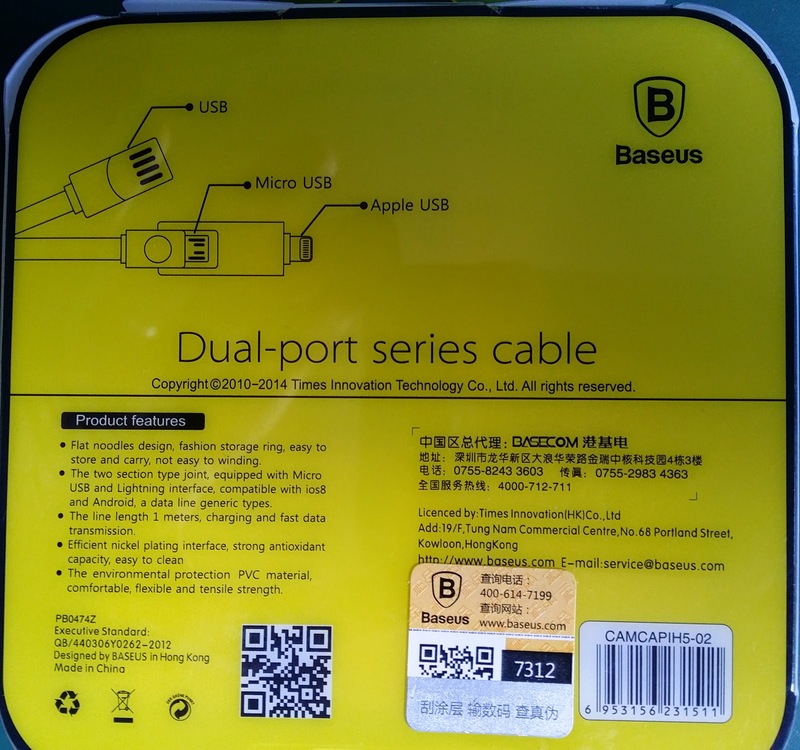 I bought the Baseus Dual Port Cable on my recent trip to KL. 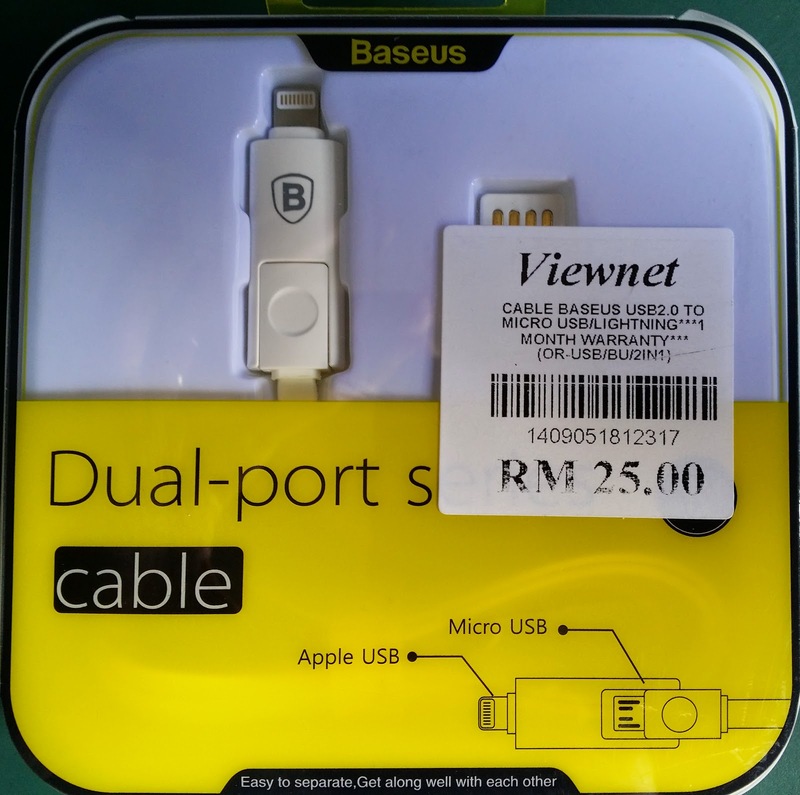 It costs RM25 which is equivalent to SGD10. 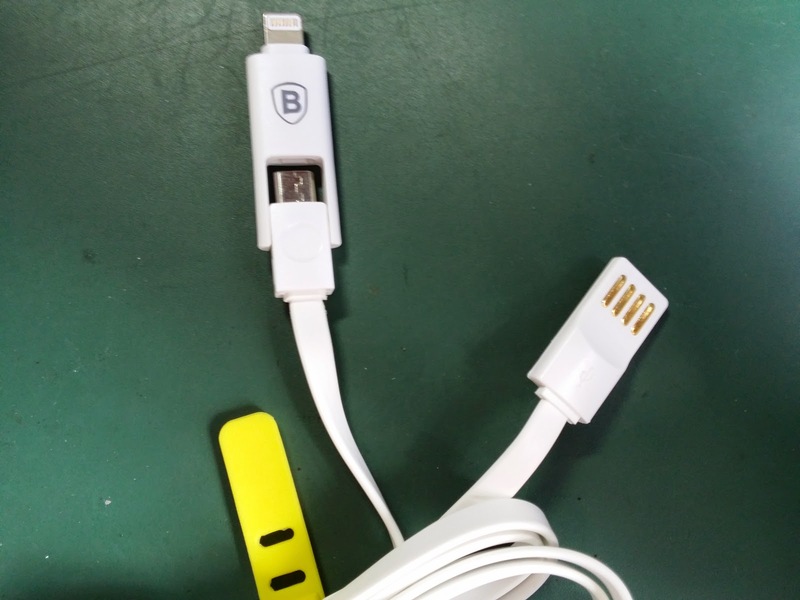 It is a pasta type, non-tangle charging cable for both lightning and micro USB devices. 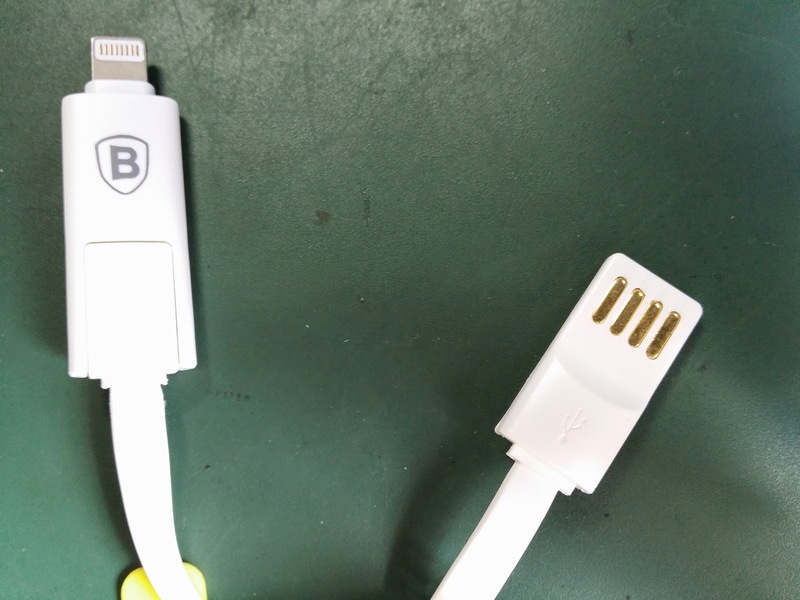 I am quite wary of lightning charging tip because it has to be certified by Apple. But thankfully, this one works. 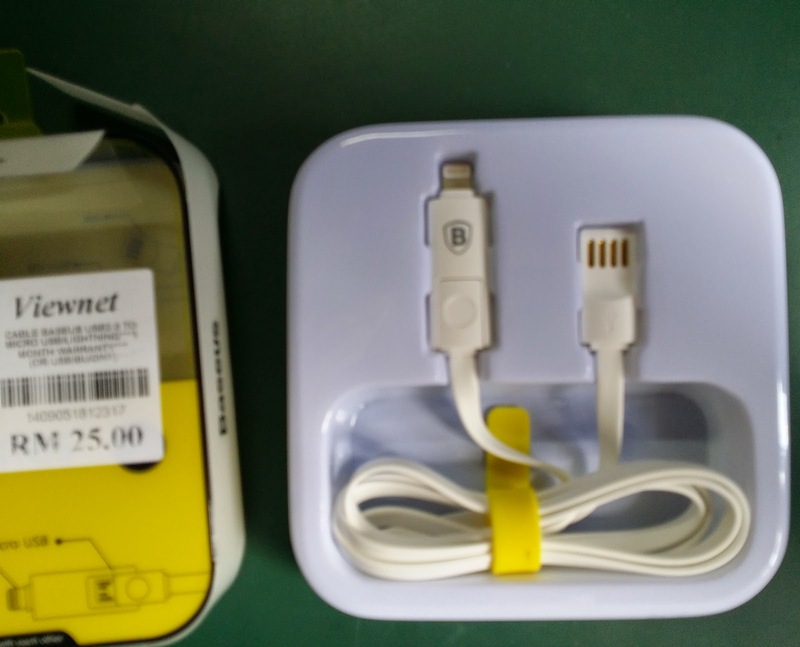 According to the box, the cable is designed in Hong Kong but manufactured in China. 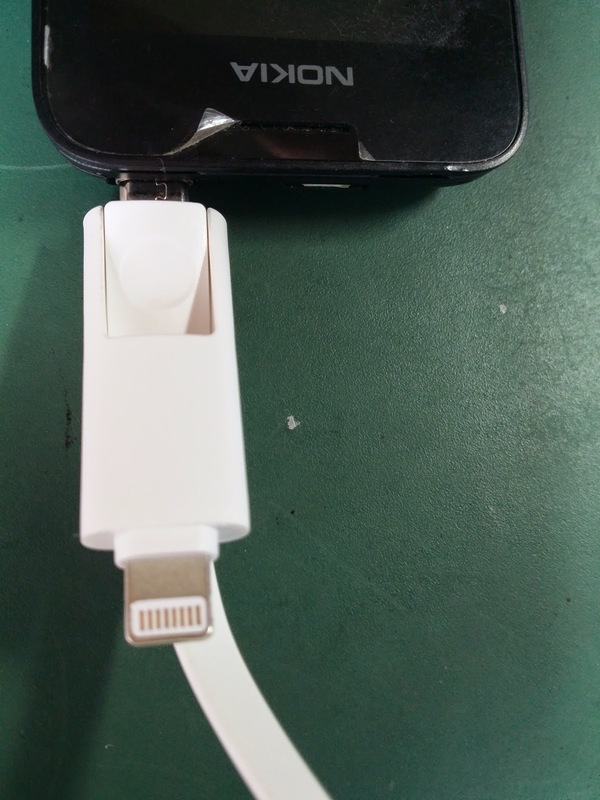 I have to say the quality of the product is quite good. 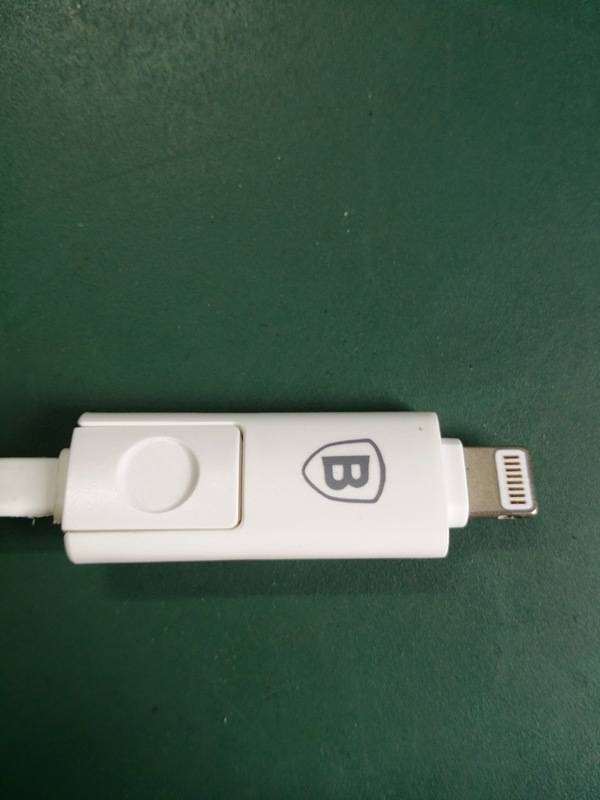 Unfortunately, their website is not informative for their other products. port. 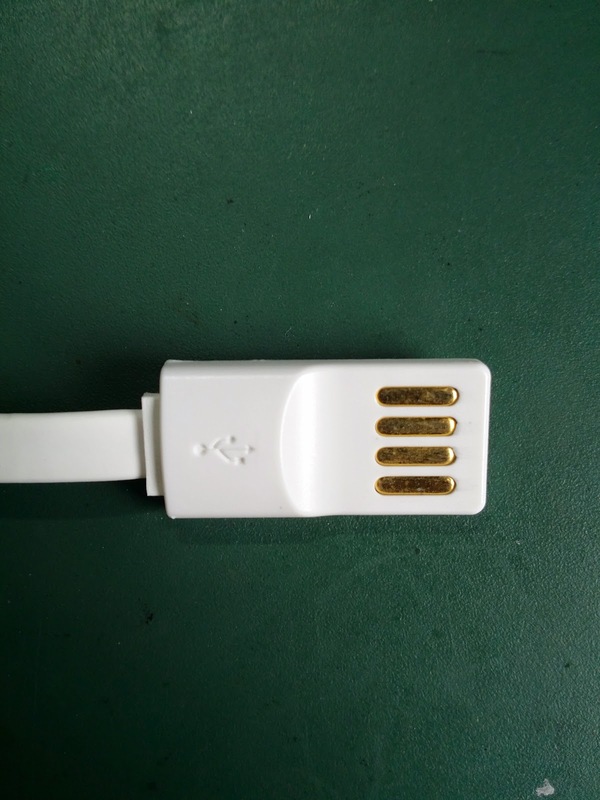 They have opted for a naked USB tip. 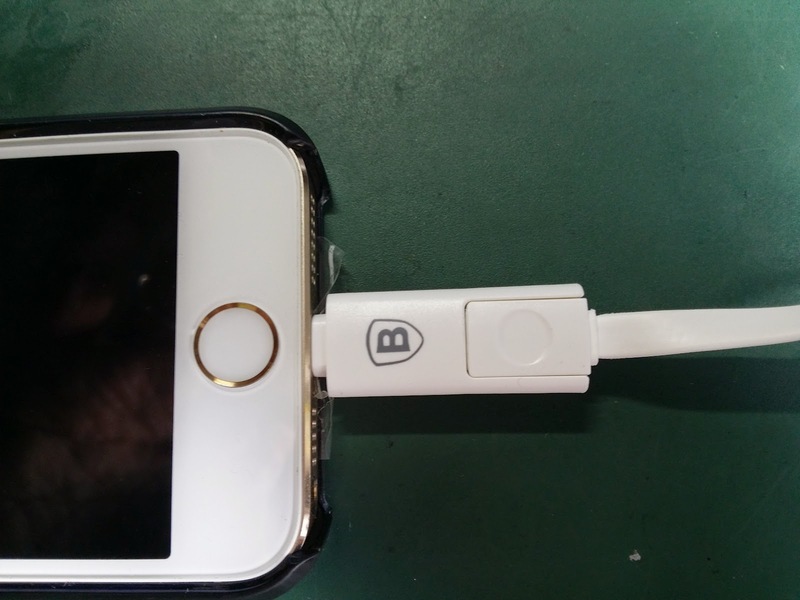 With the Micro USB exposed. 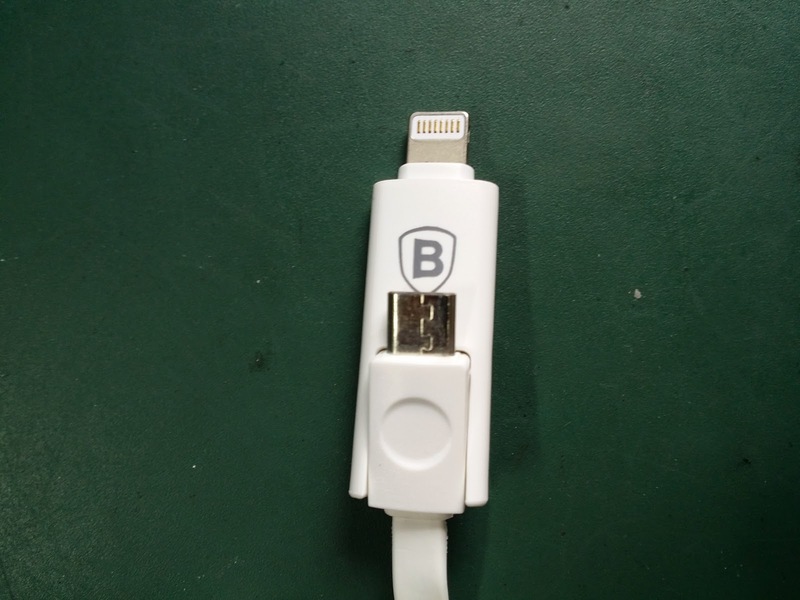 Another view of the USB tip. With my old Nokia phone.